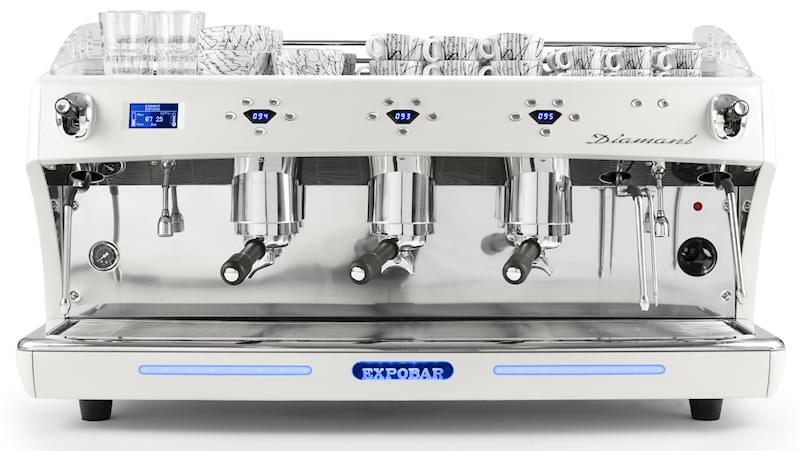 The Diamant by Expobar is an exclusive espresso machine that is fully-equipped with technical innovations and high-class finishing touches. 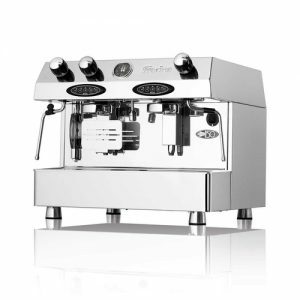 This machine has been created to capture attention, both for its stunning design and for its high quality. Diamant is a fully automatic machine with an electronic switchboard perfect for controlling coffee dosages based on volume. 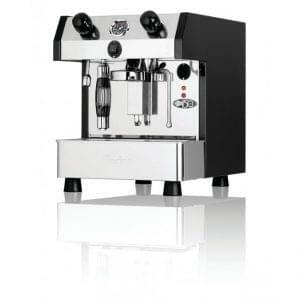 Make perfect barista-style coffee in a flash. We provide full installation and onsite support and training. 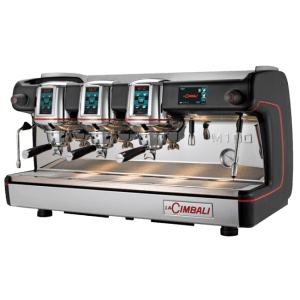 Enquire today to lease this machine. 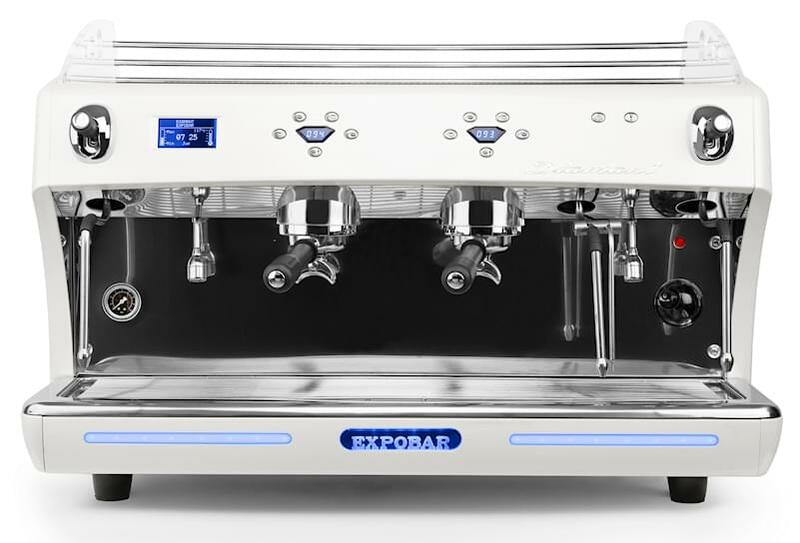 Automatic espresso coffee machine with 2 groups, electronic switchboard to control the coffee dosages volumetrically, with automatic water filling and copper boiler with 11,5 litres capacity with heat exchanger per group and cleaning valve. Three steam tap, one equipped with a temperature sensor and two hot water tap. Maximum precision temperature control using PID technology. 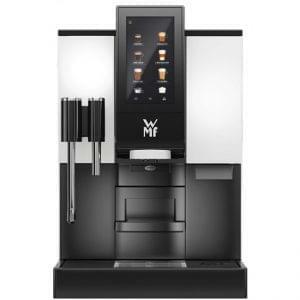 Display: advertising, automatic dosing of hot water, time management, and memorization of total brewed coffees, daily automatic switch ON/OFF of the coffee machine, control of the boiler temperature through display.